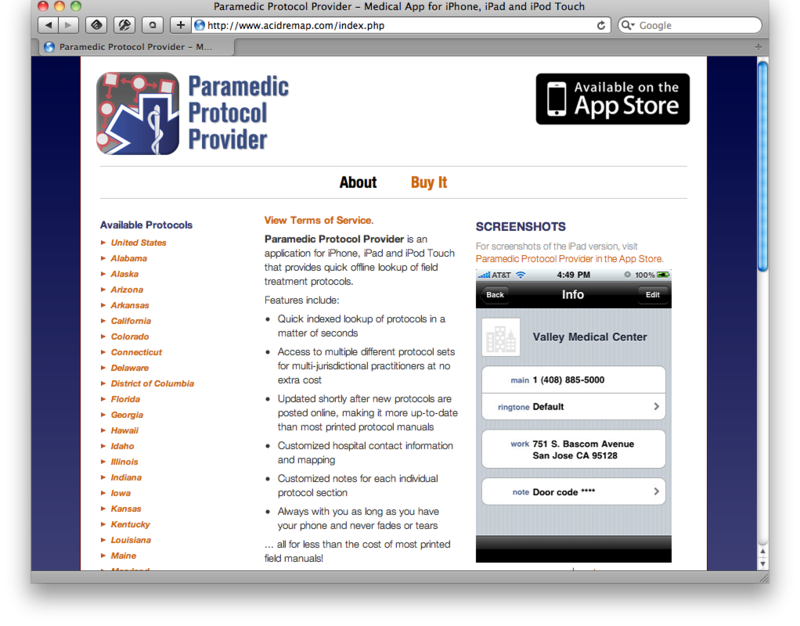 Paramedic Protocol Provider is a mobile app for iOS and Android. The website offers some basic information about the app in a responsive format that works well on mobile and non-mobile platforms. The website is apparently pretty simple, but has some interesting custom components. The list of available protocols is driven by the same custom backend that drives the mobile apps. The developer gave ShooFlyDesign the specs for the data and how they should work on the website, and we wrote the code that translates it all for the web. 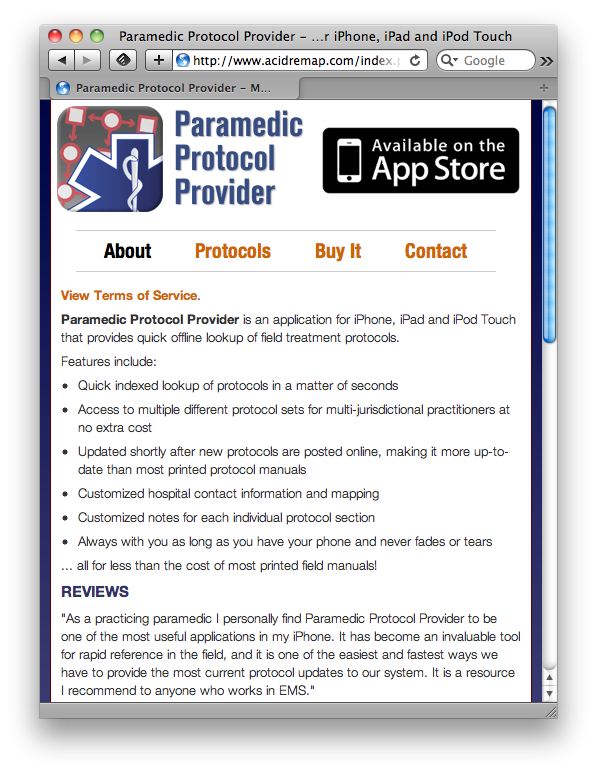 There is a sister website, EMS Protocols, that we also built, using the same data backend. That one advocates openness in the world of paramedic protocols.